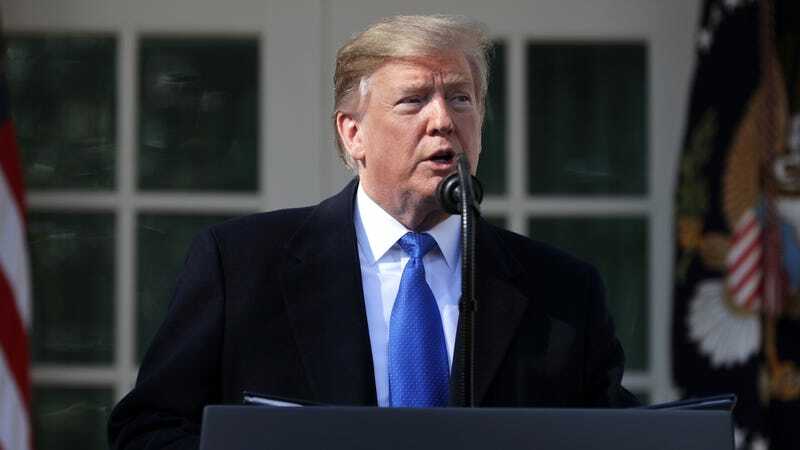 WASHINGTON—Enthusiastically praising the commander-in-chief for holding firm in the face of opposition, Donald Trump’s political base cheered on the president Friday for standing up to the U.S. Constitution. “He stayed strong and really showed the Constitution who’s boss,” said 48-year-old Trump supporter Ross Heddens, applauding the president’s bravery and determination in taking on the document that represents the social contract through which all authority vested in the U.S. government is ultimately derived. “No fundamental system of laws is going to get in his way. Trump has shown that he won’t allow mere constitutional articles—not even the ones that explicitly delineate which powers are granted to which branches of government—to stop him from doing what he has pledged to do. That’s how tough he is.” Members of Trump’s base went on to urge the president to continue standing his ground by ignoring any future rulings from the U.S. Supreme Court that may seek to prevent him from fulfilling his campaign promises.